Internet 500 Retailers have been in-the-know about one secret key to online success for quite some time: trust seals. Trust seals are graphic badges which adorn the websites of companies and are awarded based on whether the company and/or website meets certain criteria, such as if they meet security guidelines, quality measures or if they have honorable business practices. There are a handful of better-known trust seal organizations which usually provide the assessment and seal service in return for a fee. For internet marketers, there’s a really compelling reason why one should seriously consider paying the fees and going through the steps for obtaining a trust seal: they can inspire consumer confidence. 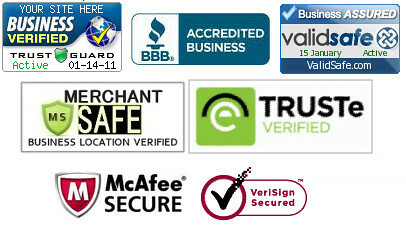 Some of the more popular website trust seals include Trust Guard, ValidSafe, Merchant Safe, TRUSTe, VeriSign, McAfee Secure, and VeriSign. There have been a number of different academic researcher studies which have found that trust seals can improve rates for online purchases. In one research paper from 2001, “Myth or Reality: Effect of Trust-Promoting Seals in Electronic Markets,” Xiaorui Hu, Zhangxi Lin, and Han Zhang found that the seals can encourage consumers to buy from storefronts they are not familiar with, and that the seals that consumers recognized more influenced them more. David Gefen’s earlier paper, “E-commerce: the role of familiarity and trust,” also found support for the theory that trust seals influenced online book purchase decisions. However, online website trust seals decended from their offline counterparts, which already had a long history, if not track record. In 1894, due to faulty electrical parts causing fires, the National Board of Fire Underwriters started performing the first tests on the combustibility of insulation materials — their mark was the Underwriters Laboratory or “UL” seal of certification. But, even before that, seals of quality, certifications, trustmarks, and seals of approval have been in use by tradesmen or service providers. Royal seals of approval likely date back a few hundred years more. My article covering how Google’s fixation with Usability reveals local search ranking factors published yesterday on Search Engine Land. In it, I described a number of common website elements which few-to-no marketers have ever cited as ranking signals. Some of these elements, such as whether or not a site may have employee profile pages, or whether a site displays prices for products and services offered, might be controversial in search engine marketing circles. 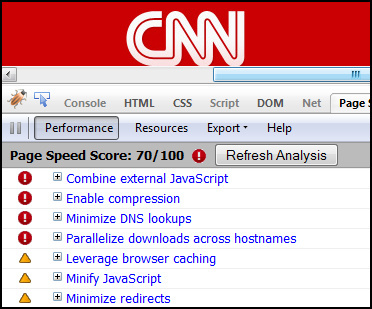 CNN's homepage checked with Google Page Speed - Google introduced Site Speed as a new ranking factor in 2010, and provided tools like this Page Speed extension in FireFox to assist webmasters with Usability improvements. Other elements I described have been cited by other experts as beneficial for search marketing, even though they may’ve recommended them for reasons other than those I outlined. 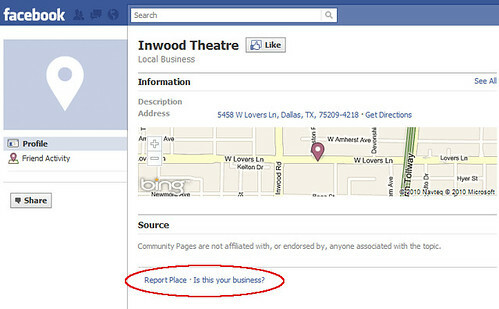 Inclusion of images, maps and locations pages make sense for multiple reasons in local business websites. The thought and methodology behind coming up with these factors is sound, and has allowed me to successfully predict present and future search engine optimization factors where others have not. It makes logical sense that while Google is interested in Usability, they will seek ways to quantify and measure it on websites, just as they have done with Site Speed. And some very easy usability elements to quantify include common website elements such as the About Us, Contact Us, and Locations pages. 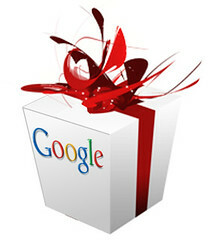 Back in 2006, I began predicting that the practice of Search Engine Optimization might become replaced by Usability. Unquestionably, this change is occuring to some degree right now. I’ve known a lot of top corporations which are involved in very sophisticated paid search marketing and search engine optimization, but few of them are also including usability testing and user-centered design considerations when performing a site redesign. Google has tried to make the importance of user-experience abundantly clear by actually going public with their adoption of page load times in determining search result rankings, but many companies are still not connecting the dots. Here at KeyRelevance, we have long prioritized usability in our assessments of web sites’ design. When companies contract with us to audit their websites, we offer both a Technical Website Review as well as a Usability Review. However, many companies eschew our Usability Reviews or dismiss them as less-important. For some reason, people often react to usability recommendations from experts in an emotional way, rather like how a portion of the population avoids going to their doctors for a yearly physical. For some companies, there are already so many dependencies and requirements going into web design projects that they can’t include more without losing impetus. For others, individuals with authority over projects have egos which do not want to lose discretionary control over project decisions which could be altered if usability research ran counter to what they desire to do. Usability testing can be the difference between a design that becomes highly popular versus one which is rapidly forgotten. Google itself is an example of how user-centered design will translate into success. More design options can be scientifically decided, honing down to interfaces which will maximize ease-of-use and enjoyment-of-use. Instead of being avoided, usability testing should be embraced — after all, in the business world we’re looking to increase the potential for success in our company projects, right? Knowing Google’s heavy focus upon usability factors, consider that if you’re not doing iterative Usability testing and adjustment for User-Experience, you really may not be doing “Advanced SEO”. If you’d like a thorough Usability Audit of your site, contact Key Relevance today to schedule our review and get a report of items to consider before your next sitewide redesign is completed. Also, check out some of the free tools that Google has been providing to help you with portions of usability analysis. Try out Google Browser Size, Google Page Speed, and look at the Site Speed reports in Google Webmaster Tools for your website. There are so many social media sites out there that a common problem amongst marketers is coming up with ways to effectively manage many multiple accounts. While individuals involved in social media for personal use may only have a handful of sites they’ve registered with, and only two or three that they really frequent, marketers may desire to interact with dozens of services. From a marketing standpoint, this poses a significant problem. Marketers desire to promote via as many channels as possible in order to target demographic groups loyal to different ones. As you increase the number of unique social media channels, however, it becomes more labor-intensive, and the Law of Diminishing Returns kicks in at some point. For a small business, the correspondingly lower return on investment hits pretty quickly. Enter a whiz-bang new service that addresses this need: dlvr.it, currently in beta, brought to us by the people who made Pheedo. Dlvr.it enables you to take one or more RSS feed sources, and then set them to automatically deliver to some of the most common social media sites out there: Twitter, Facebook, LinkedIn, Tumblr, and Identi.ca. I’ve tried out a few different services for accomplishing this sort of delivery before, including Pingdom and Twitterfeed, but I find dlvr.it to be superior. 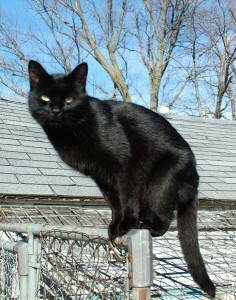 For example, Twitterfeed has been very klunky to try to configure, and I’ve found to be very, very slow at sending updates out. By contrast, dlvr.it provides a number of fine-tuning settings to allow you to specify frequency of checking feeds for updates, and when set at the most-frequent update checks it will publish status updates within minutes of a feed. 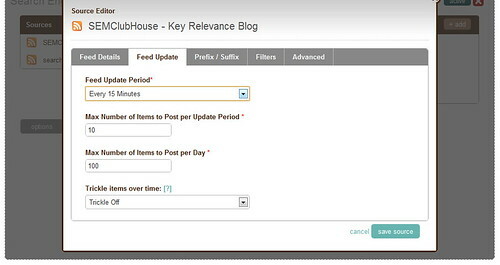 The Filters settings are even better – allowing you to make the service distribute posts according to criteria such as if a feed update uses a certain Category or if it contains a certain keyword sequence within the text or title, etc. So, for instance, I contribute to a few different group blogs, such as SEM Clubhouse, and for my Facebook and LinkedIn updates I might only wish to have the blog posts distributed which I’ve personally written. So, I could set a Filter that checks to see if the SEMClubhouse RSS feed update contains the “by Chris Silver Smith” attribution within the post and only deliver if the character string is present. Now, dlvr.it has only recently been launched into beta service, so it will be interesting to see if it starts having any sorts of lagtime issues as I’ve seen with other services that have been in production for longer, and likely have more users to excuse what may be their growing pains. Also, it’ll be great to see if dlvr.it begins to broaden out to allow more social media sites for you to integrate your feeds into. But, it seems clear that dlvr.it may be the current best-in-class for social media syndication services, and will be an invaluable tool for marketers to use for social media optimization. Write once, and automatically deliver many! For quite a few years now, I’ve been theorizing that the practices of User-Centered Design and Usability might eventually supplant Search Engine Optimization (“SEO”). Google has progressively tried to reduce effectiveness of mere technical tricks and tweaks, and they’ve improved their ability to overcome common site infrastructure issues in order to be able to access and rank content. My theory has been supported to a degree by the announcement that Google was planning to incorporate website speed into the 200+ signals they use in their algorithm to rank webpages. But, there are even more compelling arguments for focussing higher levels of priority upon refining your website with usability in mind. Highly usable sites make it easy for consumers to find what they’re seeking rapidly, and don’t frustrate their audiences. Usability impacts performance over the long-term, and that has a direct effect on market share and future growth. Google itself prospers on this philosophy, and other sites like Craigslist are similarly successful because they are simple and usable. For these reasons, one of the standard services that KeyRelevance provides is a careful and comprehensive Usability Review. Optimization of a site in order to streamline user interactions will help to make all other site promotional activites such as SEO and PPC advertising more successful. Google Labs provides a very useful tool for analyzing one of the many aspects of Usability which we commonly look at when reviewing clients’ sites. The Google Browser Size tool allows one to input the URL of a webpage, and they provide a semi-transparent overlay which outlines the area on the page which is visible to certain percentages of users viewing on various sizes of monitor screens and browser window dimensions. This is extremely similar to an analytic tool I created quite a few years ago which “sniffed” my website visitors window sizes when they visited the homepage, stored the values, and then provided percentages of size ranges. Such tools are invaluable when writing the specifications for site designs/redesigns. The reason this is so important is that one should not create a website design that is so large that key elements are pushed outside of the viewing area horizontally. The vertical area is important as well, but it’s considered of far greater importance to be careful with width, because it’s expected that very few consumers want to scroll horizontally, so content falling off the right side of their screens simply gets missed. The area of a webpage which visitors can see initially upon arriving, without any scrolling, is called “above the fold”, using old newspaper terminology. Many studies have supported the premise that content “above the fold” on a website typically will receive the most attention and perform the best. Many designers are using much larger monitor sizes than their site visitors may have, often resulting in designs which do not fit the audiences they’re targeted-to. The egos of corporate employees often figures in as well, and there’s a human tendency to be impressed with larger, graphically-intense splash pages with too much key content falling outside the horizontal width or below the fold for many users. You can see that their masthead navigation links for “International” and “Video” are falling into the band of “90%” in Browser Size along with the site search form – this means that 90% of internet viewers are viewing pages with their browser windows large enough to see that right side content. The other 10% are not able to see this content, and might miss that it’s available. I’d bet that if we looked at Vogue.com’s analytics we’d find that those links get significantly lower click-throughs compared with more-commonly-visible areas on the page. When we look into the 95% band, we see header links for “Renew”, “Parties”, and “Style.com” get lopped out of the viewing area, along with the ad content. Vogue’s site is designed to be about 980 pixels wide – at the upper end of the typical range of non-dynamic width websites. When you see how the larger size results in a less-optimal experience for 5% and 10% of their overall audience, one can’t help but ask if the designers could have created a design at a smaller width while still retaining all the beneficial aesthetic value. I’d say that they most definitely could have, but they likely were ignoring the statistics when they set the site design specifications. The wider design represents a lot of untapped opportunity, and money left on the table. While 10% may not seem like a large percentage, when you figure how many visitors Vogue’s website must receive annually, the raw numbers of people that fit into that demographic really add up. That 10% of people whose monitor screens were likely too small to easily see that right-side content on Vogue resulted in fewer people clicking through to view the Video content, International content, and the search form. The 5% of visitors would have missed the “Renew” link and the ad content, resulting in a little less revenue. If you’d like to see a site that’s done a far better job of setting their size with user browser window limitations in mind, check out Nordstrom. Their site fits in a width closer to 770 pixels, making it work for a much greater percentage of internet users. There are some caveats to using Google’s Browser Size utility. For one, the striations of browser size percentages that they display in that tool are based upon Google’s usage statistics, and not your site’s. While Google certainly has a huge usership sample to base these numbers upon, your site may have a significantly different demographic of users who have larger or smaller monitor sizes and browser window widths. Google’s Browser Size utility is a fast way to check size based on overall internet averages, but if you want to do even more precise checking of your audience’s capabilities you need to check your analytics to see how many users are accessing your content with what size of windows and/or monitors. Here at KeyRelevance we do calculations based off of your analytics package for this — a lot of top web analytics (such as Google Analytics) will give you detailed numbers over time. Regardless of which method you use, you need to take browser window size into account when redesigning your site. This is an easy way to bake more success into your website without trying to do anything complex or tricky. 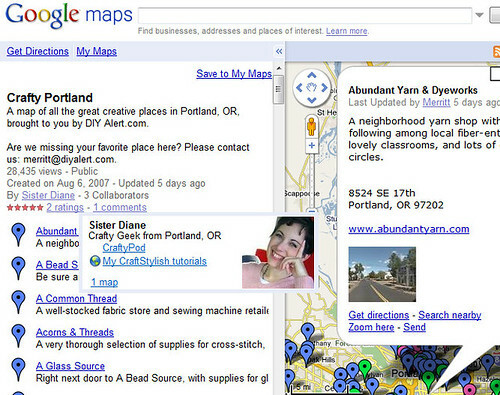 When Google introduced their customizable maps feature two years ago, I thought to myself, “Cute, but who has time to be messing around creating special maps in most cases?” Now fast-forward to 2009 and I’ve turned into something of a technical evangelist for the feature, touting it at the SMX East conference last week and publishing an article today on Search Engine Land which highlights it as a long-tail marketing tactic for Google Maps. The premise is fairly simple, although I see relatively few companies and individuals using the custom maps (“My Maps”) feature in Google Maps to help market their website or business. Many users are generating custom maps, some of which garner tens or hundreds of thousands of views, depending upon how well they’re optimized and how much they target subjects of general interest. There are maps pinpointing crimes around cities, maps to find wifi locations, tourist points of interest, and maps showing where to go for certain types of shops or charitable organization donation dropoff locations. The user, “Sister Diane”, has provided a very helpful map for people interested in her industry. The map shows stores where one may obtain various craft supplies all over the Portland, Oregon area. When one of her location listings is clicked, the information bubble that pops up on the Google Map contains a great description and address, and for some locations there are pictures, phone numbers and URLs. She also filled out her Google Profile, so when her username is clicked or moused-over by the cursor pointer, map users can see her website URLs for her blog and another site where she writes articles. This is a really good example of how developing and providing useful content within Google Maps can help to further promote your own content by exposing you to more consumers. While crafts in Portland is very much a small niche, Sister Diane’s map has achieved over 28,000 views since its creation two years ago. Custom maps may be created by hand, using the simple tools for editing My Maps on Google. For larger lists of locations, I highly recommend creating a KML file as per Google Maps and Google Earth documentation, and either manually uploading the KML or submitting it via a geositemap from your website. For more examples and tips on how to effectively leverage this long-tail marketing tactic, ready the full article at Search Engine Land, “Google Custom Maps: A Goldmine For Local Businesses“. As a brief follow-up piece to the article I wrote this week on Search Engine Land, “Three Ways To Optimize Business For Local Search Via Online Newspapers“, I thought I’d list a few tips on how to pitch stories to local newspaper reporters in order to get coverage of your business along with the almighty links and reference citations which can help your site and listing rank higher than competitors. Issue a press release or “media alert”. Prepare when you pitch a story idea to local news editors and reporters. Reporters and editors are not at all lazy, but they are pulled in many different directions and are presented with multiple story options every day. So, if you want to increase your chances of having your story idea get taken by them, prepare it a bit. 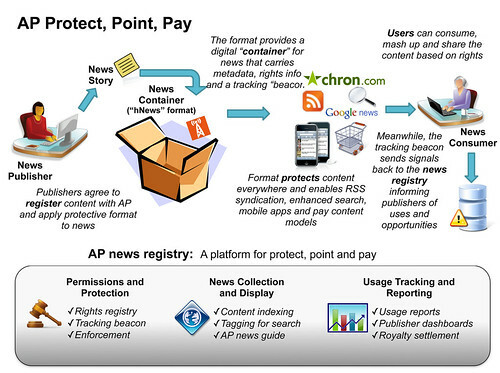 Do a brief write-up of the concept and prepare it like a written news release. Write it up in clear, “Who, What, Where, Why, When” format. For the “What” part, explain exactly what your concept is and why it should be considered compelling. Hop on a media feeding-frenzy! Watch the current news and see what’s hot in public perception, and when some bursty bit of news is emerging into public consciousness as The Next Big Thing, be prepared to exploit it for your own advantage. Formulate a story idea linking your business/product to the current hot news item, and issue your media alert so that your local reporters will have a hot story item handed to them on a platter, ready to run with! Be unusual! Run-of-the-mill story ideas are yawners and will cause your story idea to get ignored. Think in terms of attention-grabbing headlines. Can you state in one sentence why a story about your company or product would attract the attention of an average man-on-the-street? Make this your press release headline. Even just a clever turn of phrase about a moderately run-of-mill story concept could be the differentiating factor that gets your story some media coverage. Do your homework. If your story idea involves making some sort of significant claims or is founded on some sort of facts external to your company, help the reporter by finding the information they’d need to check out your claims and verify facts. Provide them with links to independent reports, phone numbers of experts who back you up, and other supportive documentation. Provide free photos. I’ve written previously about how free photos is good for SEO. In this same vein, providing photos that illustrate your press release or story idea for a reporter helps save them time and makes the story that much more compelling if it’s done right. Furthermore, provide an easy-to-use Press Kit on your website with a number of images that help the press and bloggers illustrate stories about you. Press kits should include a few sizes of your company logo, for both print and online, pictures of your company, employees performing typical services, customers having fun at your place of business, and pictures of prominent employees who may be frequently quoted. Be sure to have signed image releases of any recognizable people appearing in these photos, though! Offer to be an expert commentator. Whenever stories come up about your industry, businesses type, or area of expertise, it’d be great if reporters would think of you as an expert they can quote. There are a number of places on the internet where you could register yourself as an expert commentator for particular subject matter, and you can also provide your credentials in advance to various TV news channels, local newspaper offices, radio station, and to local reporters and bloggers. Build rapport with your reporters! Be friendly, accommodating and easy to work with for any reporter who calls you up! Let’s face it – they’re doing you a big favor, and you should be thankful. If you’re fun to work with, they may think of you much more frequently as a person to go to for stories. Send a thank you note after a story about your airs, and even send them a freebie or discount coupon from your business. Manufacture a PR stunt! It may be cheap and, frankly, very blatantly engineered as a self-serving effort to get attention, but if you can arrange it for a “slow news” period, it can work just as well as any meatier news idea. Just be restrained about doing such a thing too often. Use this for slow business seasons and when you may’ve had a long dry spell from any media attention. Do it too often and you’re risk audience fatigue and it will not be as effective. These tips owe quite a bit to Emmy Award-winning reporter, Jeff Crilley’s book, “Free Publicity.” You can read his book for even more ideas.